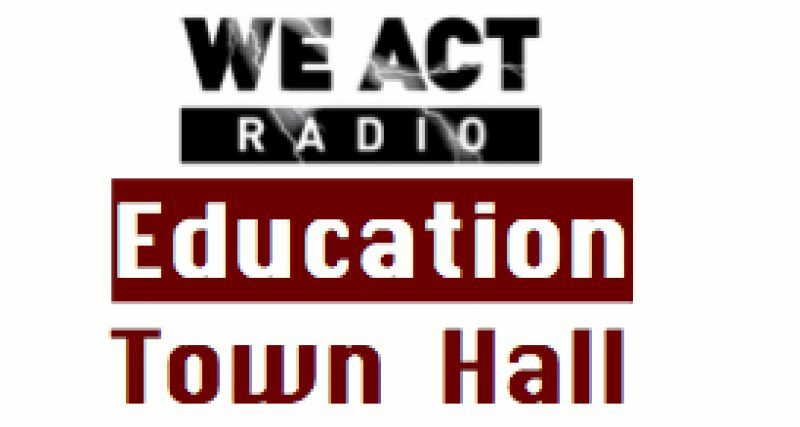 Join the Education Town Hall, Thursdays 11:00 a.m.
on We Act Radio, to discuss small schools, equity in education and related issues. And/or comment to share your thoughts. practices will allow these schools to deliver the same quality of instruction for less cost. We need structures designed to deliver educational quality across the board. It is not enough to have a few successful schools scattered through a city. There are natural geographic boundaries in communities, but those boundaries should not be barriers to high quality schools and programs. A commitment to educate all children well is both philosophical and pragmatic. Americans believe in and support the opportunity for everyone to be educated—and to expect an equitable return on their investment. Consider, in this context, the location of closing schools. Red flags on this map represent the “first draft” proposed closings (November 2012). Three most western red flagged schools were “saved” from closing, in the January 2013 “final” plan, along with one in far Northeast and one in far Southeast. 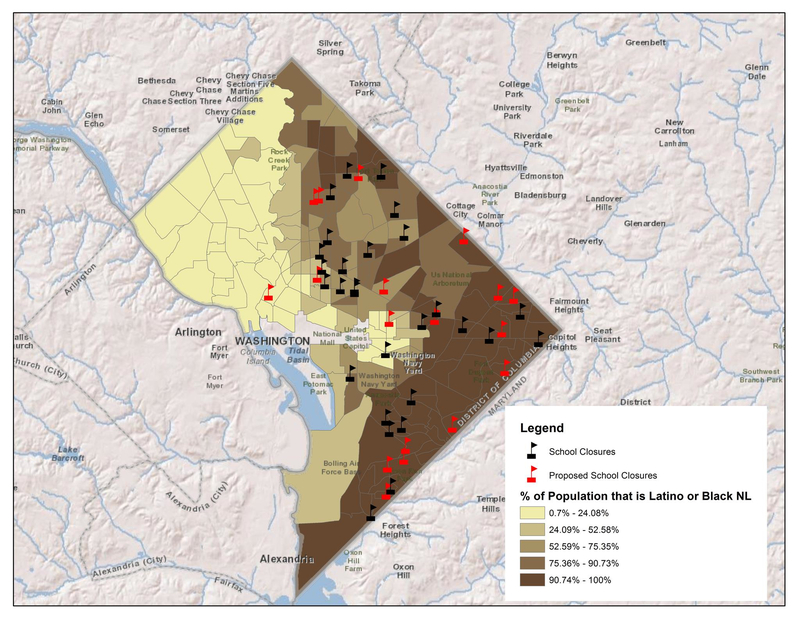 Map prepared by Empower DC. Next Post: Cafe Tables As Education Reform?